THE GHOST OF NEWT GINGRICH PAST……… – The Tundra Tabloids……. The US needs an SOB of a president to stand up to the oncoming onslaught. Newt is already hated by the Left and the Republican establishment, what’s not to like? Politically wise, I see the man that the US badly needs today if the Republic is going to be saved, especially when looking at the rest of the Republican political playing field. Newt has some lousy personal baggage coming into the race, but I’m not electing the husband of the year, but the guy who will best dismantle the Obama years and scale back government. The next president also has to be willing to take on the radical Left wing who will be out in full force to try and knock the US’s civil society off its balance with massive displays of mob uprisings in the streets. You’ve seen only a smattering of it in the Occupy movement, just wait until a Republican gets into office and starts to unwind the massive mess of the Obama years. I hate to see it happen and hope it doesn’t, but I’ve been predicting over the past few years that the radical leftist nut-jobs are going to try and repeat the 60’s on a grander scale, with real violence and mayhem in the streets. Just wait and see. 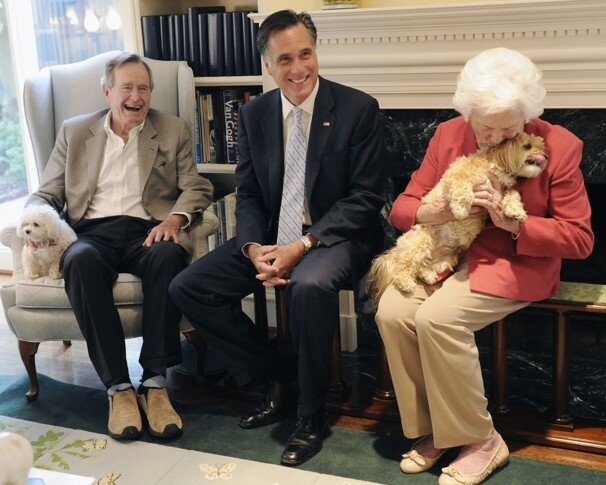 NOTE: It’s why the Bush’s back Mittens. On the evening of Oct. 4, 1990, Newt Gingrich and his then-wife, Marianne, were enjoying a VIP reception at a Republican fundraiser when they were suddenly hustled over to have their picture taken with President George H.W. Bush. 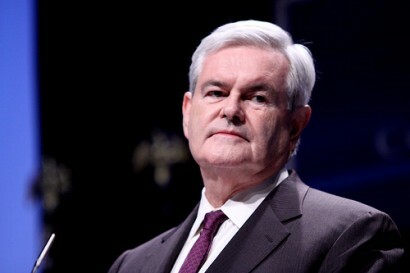 “I thought it was a bad idea,” Gingrich said in a series of interviews in 1992 that have not been previously published. Days earlier, Gingrich had dramatically walked out of the White House and was leading a very public rebellion against a deficit reduction and tax increase deal that Bush and top congressional leaders of both parties — including, they thought, Gingrich — had signed off on after months of tedious negotiations. The House was to vote on the deal the very next day. The photo was snapped, Gingrich and his wife took their seats for dinner, “and both of us just felt like crying,” he said. Gingrich’s revolt highlighted a rift that persists to this day within the Republican Party, between a pragmatic establishment open to deal making and a more rigid conservative base that prefers purity over compromise. That split has benefited Gingrich at times during his political career, including in his current bid for president, as he is tied at the top of the Republican field with Mitt Romney, the establishment choice. The party divide also played out on Capitol Hill last week, when a group of conservatives in the House attempted to torpedo a deal struck between Senate Republicans and the White House over payroll taxes. In that case, House Speaker John A. Boehner (R-Ohio) backed down in the face of political pressure. In 1990, Gingrich did not. Gingrich, then the party whip and No. 2 Republican in the House, and his followers took down the deal the next day, severely undercutting Bush and highlighting the betrayal of his famous “Read my lips: no new taxes” pledge. In some key respects, Gingrich’s revolt set the stage for Bush’s demise and eventual defeat — as well as the Republican takeover of the House in 1994 that catapulted Gingrich to the speakership. Gingrich’s defiance and high-visibility debut as provocateur in 1990 was a decisive moment for him. It was the first chance he had to exercise real political power, providing an early glimpse of the complexity and the contradictions that he has displayed since. Gingrich was unrepentant, arguing that he had a higher purpose. “It was destructive,” he acknowledged, but necessary to stop Bush and others from making deals with Democrats. Previous Post Previous Post UNESCO CUTS FUNDING TO PALI YOUTH MAG OVER HITLER ADULATIONS……. Next Post Next Post HEZNAZI LEADER NASRALLAH SAYS US RESPONSIBLE FOR SUICIDE ATTACK IN SYRIA……..